About a week ago I explained why exchange-traded funds are, in my opinion, great for people starting out in the stock market. Being a brand new investor myself and because I want to put my money where my mouth is – although not really, because money tastes foul – I’ll explain my personal exchange-traded fund strategy and the current set-up of my portfolio. Hopefully this way people looking to become ETF aficionados pick up some useful tips and tricks to build their own portfolio. Before continuing, however, I once again want to stress that I’m not a professional investor, not by a long shot. Everything I am doing to create my ETF portfolio is based on months of research and tailored to my personal situation. So please don’t copy my strategy thinking it will be fine because this one random Belgian who doesn’t like waffles is doing it. Before I set out to look for the perfect ETF, I decided to check out what I like to call the rules of the game. Because the financial industry is highly regulated, we will have to take into consideration many rules that could interfere with our ideal plan of action. As a result, I dove headfirst into this beautiful thing called Belgian national legislation. And regional legislation. And European legislation. Basically, lots of legislation. Located in Ireland: beneficial treatment of dividends received by the fund. No registration in Belgium: stock market tax down from 1% to 0.25% for accruing funds. No dividends for shareholders: dividends are best left in the fund, otherwise a 15% foreign withholding tax and another 25% Belgian tax on dividends will be applied. 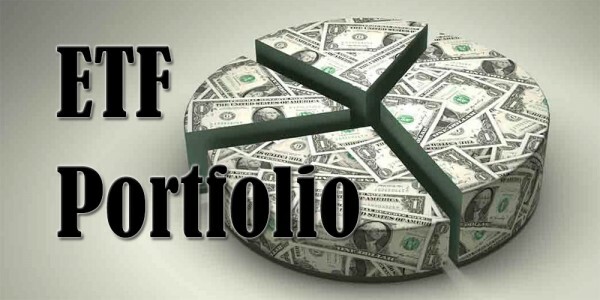 Total amount of bonds remains below 25% of the fund’s portfolio: no capital gains taxes will be applied to your ETF shares if fixed income assets in the fund are kept to a minimum. Again, this applies to me personally. I know, for example, that the situation for Dutch investors is completely different since they are better off with Irish dividend paying funds. And to all of you American readers hardly any of this will apply. So before you start throwing your money at ETF shares, be sure to read up on what’s best for you. When you know the rules of the game, you’ll immediately find that nine in ten ETFs available aren’t a wise investment, which is a really big advantage and makes picking the perfect exchange-traded funds later on a lot easier. Still, 10% of all exchange-traded funds out there is still a prety big ETF list. To narrow that list down it is important to come up with a sound strategy that you stick to in the long run. I decided to follow the Bogleheads’ philosophy of investing, which basically states that you develop a workable and easy to understand plan that is not too risky and offers enough diversification. As I’ve explained last week, ETFs provide all of these requirements and more. Because I’m only 25 years-old and because bonds are a no-go tax-wise, I decided not to include any bond funds. As I grow older, though, it might be wise to increase the percentage of bonds in my portfolio since they are less volatile than stocks. I also didn’t include any commodities because I don’t know anything about them and don’t understand them at all. Consequently, I was left with stocks only. Another 5% of ETFs gone! What I also wanted from my ETFs was a low expense ratio (preferably below 0.3%), a rather high daily trade volume and cheap transaction costs. The iShares ETFs by Blackrock are one of the few ones that actually meet these criteria since their expense ratios are by far the lowest, they are traded fairly often and list on the Euronext stock exchange in Amsterdam, which is easily accesible to me. Another 4% of ETFs gone! 99% of ETFs down, only 1% more to go! Now it came down to actually picking ETFs based on their underlying indices and fundamentals. Ultimately, the strategy I felt – and still feel – most comfortable with is owning worldwide stocks based on their market cap. Why? Some might call it gut feeling, but to me instant worldwide diversification was a definite decisive factor. I sleep easy at night knowing that my money is invested in the largest companies worldwide. Finally, I picked my three favourite ETFs. Three!? The reasons for choosing three exchange-traded funds instead of a more simple two- or even one-fund portfolio are actually quite logical. First, iShares doesn’t offer an ETF that truly captures the entire world. Their MSCI All Country World Index comes close, but is limited in its exposure to emerging economies. The expense ratio of the accruing version of that fund is also quite high and the trade volume is rather low. Second, I wanted to increase my exposure to European countries. Most worldwide indices are heavy on US corporations (over 50%) and even though that’s not a bad thing per se, I feel more comfortable with a small home country continent bias because I understand Europe’s markets and policy-making better. iShares Core MSCI World UCITS ETF (Acc): this exchange-traded fund invests in developed economies, has a solid track record, high trading volumes and an expense ratio of only 0.2%. The bid-ask spread is quite low too, which makes buying additional shares easier. iShares MSCI Europe UCITS ETF (Acc): to counterbalance the US-heavy World ETF I decided to add a broad European fund. This one also follows its underlying index closely, even though the expense ratio is 0.33%. iShares MSCI Emerging Markets UCITS ETF (Acc): to round out my international exposure, I also added iShares’ emerging markets ETF into the mix even though it’s slacking a bit in following its index and the expense ratio of 0.68% is quite high. I will evaluate my position in this fund one year from now to see if it is worth keeping around. When you have three funds like I have, you’ll have te decide on how much of your money you want to pour into each ETF. I’m going for a 70% All World, 20% Europe and 10% Emerging Markets mix because that will provide me with an exposure of 40% to US stocks, 45% to European companies, 10% to emerging market securities and 5% to the rest of the world. 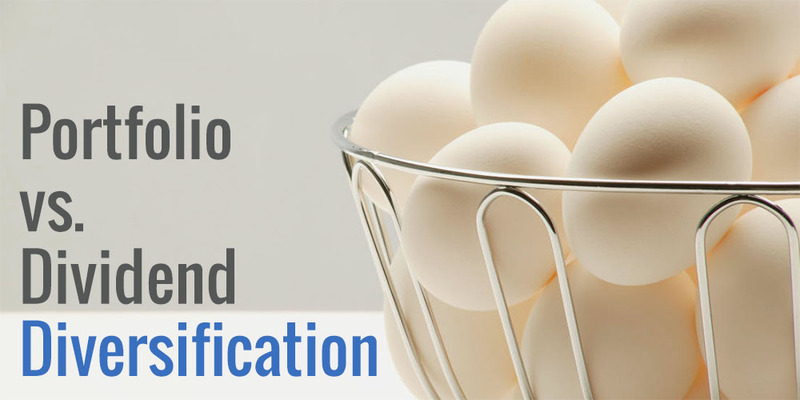 If you want to determine an allocation based on worldwide diversification on your own you’ll have to dive into the principles and stocks of the underlying indices. Finally we get to do some buying! Just grab all your cash, run to your broker and tell him to dump everything into the ETFs of your choice! Or you could apply a dollar cost averaging strategy like I do to reduce the impact of volatility on that single large purchase. Dollar cost averaging basically means that I spread my buying frenzy over a certain period of time to average out market volatility during that period. As a result, I won’t run into the problem of buying at the top of the market just to see it drop down to all-time lows the next day. That’s why I have been investing about 8% of my available cash into the three ETFs for over three months already. This way I’ll minimize downside risk over the period of one year (8% times 12 months makes almost 100% of my cash holdings). I understand that all of the above is a lot to take in. After all, it’s over two months’ worth of research into tax treaties, legislation and investing strategies crammed into a single blog post of only 1500 words. Nevertheless, I hope to have shown you how I came to my own strategy and built my own portfolio, and I hope to have mentioned some important things to take into consideration when deciding on an ETF strategy. If you feel like you need to take on an insurmountable task to start investing in exchange-traded funds, don’t. Half a year ago I didn’t know anything about ETFs. I am, moreover, still not sure my strategy is 100% waterproof, but I am convinced that I at least made the right choice nine out of ten times. I am confidently putting my money in the market, which ultimately was one of the bigger barriers to my financial independence. We’ll see in a couple of months how my strategy turned out and I’ll definitely provide feedback on this learning experience. Of course, there is always more to learn, so that is why I would like to know your thoughts on ETFs. Are you invested in them? And if so, which strategy do you stick to? i wish you all the best with your strategy. I have this conversation quite a lot in internet forums about investments. I really like in your approach that you keep it simple. 3 ETF and GO. I often see people talking and talking and talking about the perfect allocation with nuances of 0,x%. To your question: i just have two ETF left, the IShares MDAX (German midcap index) (DE0005933923) and db x-trackers Global Select Dividend 100 (LU0292096186). While the first is a rather small position I have a quite large junk in the second one. The dividends of the latter are re-invested every year so the pile grows and grows. 🙂 The idea behind the second ETF is to gain access to dividend stocks from regions (several EU-countries with complicated tax agreements, asian stock market, Australia etc.) where it is difficult for me to buy single stocks. Thanks, Markus! I hope that my strategy works… Seems to be holding up quite nicely for now. Keeping it simple was one of my requirements. I don’t like all the fancy ETFs with leverage or that focus on some weird part of the market. The db x-trackers Global Select Dividend 100 looks like a decent ETF! Why do you have a dividend paying ETF if you only reinvest them though? Isn’t it more tax efficient to buy a fund that keeps the dividends in the fund? How much of your savings go towards ETFs and how much go to single stock purchases? I’m looking at dividend growth stocks myself, but I first want to establish a diversified base with my ETF porfolio. Unilever is indeed an awesome European stock. Haven’t looked too much into German dividend stocks though, but so far I think of buying Shell, Total, Nestlé and Belgacom (although Belgacom recently cut its dividend). Maybe we should start to keep a dividend aristocrats spreadsheet of European stocks! Would be a fun project! in Germany it really doesn’t matter. If you have a German fund that accumulates the earnings you still have to pay the German dividend tax of appr. 26%. The funds company sends the tax automatically to the fiscal authority. If you have a foreign funds (basically all funds whose ISIN don’t begin with DE) that accumlates you have to declare the gains in your tax declaration every year. Foreign funds – like the GSD 100 – that pay dividends are more comfortable regarding the tax declaration since the tax payment happens automatically. At the moment new money goes into stocks. I bought the MDAX-ETF several years ago and just keep it in my depot. The GSD 100 gets bigger every year since the payments are re-invested. But I don’t use new money. My last purchase was VISA beginning of this month – I see V as a long-term investment since the current yield is quite low but grows very fast. Next month I aim for Diageo or Freenet (german telecom service provider. Your ETF choice makes a lot of sense then! The different tax situation in every European country is so weird and very confusing at times. VISA seems like a nice purchase indeed. I believe Dividend Mantra bought some shares too a while back. Really solid fundamentals and big future dividend increases! I’ll start working on an outline in a Google Docs spreadsheet so we can start collaborating soon. That is, if you have the time. Should be a fun project! I’m sure I will find some time! I don’t have a Google account but I think that should not be the problem. 🙂 Just give me an info how we can get in touch and we figure out what we can do together! I’m always eager to learn so it should be great opportunity! I’m invested mostly in individual stocks because I think that’s the way my broker thinks he can make me the most money. When I move to a self-managed portfolio, perhaps I will do more ETF’s and index funds. First thing is to get more knowledgeable about all this stuff so posts like this help! Thank you! There are pros and cons to both approaches, so you have to go with what feels right. As long as you feel like you can trust your financial advisor and sleep well at night, there’s no reason to worry! Managing your own portfolio is a lot of fun actually, I highly recommend it. A lot of research is required, but that’s half the fun to me. I hope you picked up a thing or two and if you ever have any questions feel free to ask! I have never bought ETF’s since I find it more fun to buy little pieces of companies. Currently I’m looking to Munich Re ( WB has 10+ % of te company). Soon I will look to ETF’s for my mum since she knows that I make quitte a bit of money in the stock market. But I don’t want to take as much ‘risk’ with her money then with mine. And I was considering to make a list of dividend aristocrats( and start with belgium) but the problem is finding time to start with it. Munich Re looks like a great buy and hold stock! Might look into that myself too for a dividend growth portfolio. Do you own any other strong dividend payers? ETFs are indeed a bit lower risk than stock picking, especially if you dollar cost average a diversified fund. Just be sure to assess your mother’s time horizon correctly. If it takes the market over 20 years to recover from a crash tomorrow buying only the ETF might be a wrong move. As far as I know there aren’t any dividend aristocrats in Belgium? Do you know any? Most of the companies that I’ve checked out all cut their dividends in the past five to ten years. My favourite dividend paying company in Belgium still is Belgacom, even though they will cut their dividend next year (a healthy move in my opinion). Gotta love a government owned duopoly! My watchlist for Europe: Munich Re, Total, Nestle, Unilever, Ab Inbev. Shell is already in my portfolio. I first started with some Belgian stocks, then american and now european. So or the European stocks I still have quitte a lot of work to do. The money I need to invest for my mum isn’t a big amount so it will not hurt her if it goes down for a while. In Belgium there are no dividend aristocrats as far as I know. But there are companies with a solid track of dividend payments: Ackermans Van Haaren, Gbl, Van de Velde, Lotus Bakeries. I think Ageas will become a dividend aristocrat in the far future. Currenty they still suffer from the Fortis debacle. I’m not too worried about a Japan-style meltdown. Exactly! And we’re both young enough to sit through a long downturn in the market! A situation like in Japan is pretty unlikely for the entire world, so I’m not too worried about it either. And if it happens, we’ll see if there is anything we can do about it. Because we’re both frugal we should be able to come up with a way to live through it. Have you ever considered setting up a corporation outside of Belgium and investing through that? Dividend growth investing seems incredibly impossible at 25% + 15% international tax. I understand your choice of etf investing – but you give up quite a bit of control over what you own. Perhaps as your knowledge of investing and the world grows, you might want to travel/live outside of Belgium and explore other financial markets. Often you don’t have to be a citizen of that country to set up a corporation. The UK, Panama, Hong Kong or US (Delaware or Nevada c-corp has almost the same rights as a us citizen. ), perhaps even Luxembourg. There is obviously an administrative overhead cost to doing that, but perhaps in a few years when you increase your income and have several streams of income, this won’t sound as distant as it might sound to you now. Also the UK and the US really do have quite advanced financial markets and economies of scale, they can leverage a huge customer base to help develop better tools, cheaper advertising, less administrative differences. And if you are entrepreneur minded there is access to venture capital. I don’t know what you do, but if you even have the chance to temporarily work abroad, it might enable you to set up investment accounts abroad as investing is one of the few things you are legally allowed to do besides your main career. International tax law and tax treaties do take time to read up on and understand, but you seem to find that interesting. Good luck with the etf investing, at your age and in your country, you are very much the exception. I would hope you pass on the knowledge to friends around you, so other Belgians might gain a better financial understanding. Keep blogging & looking forward to follow your progress! Funny that you mention setting up a foreign holding company in the UK! I was actually looking into something like that, but it takes a lot of time to get through all the regulation so that’ll probably be something for a ways down the road. And I want to make sure that I’m not doing something that falls in a grey area of the law. 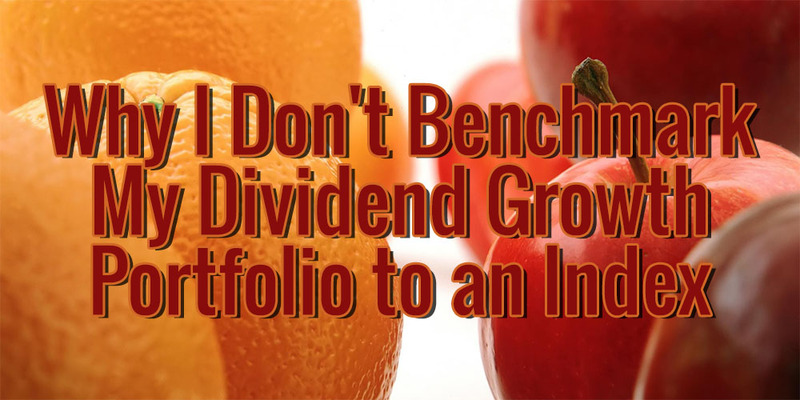 15+25% is indeed harsh for a dividend growth investor, so I’m still not sure if I should go for it. Luckily there was a ruling in France last month that wiped the floor with the legal base of the 15% foreign tax for Belgians, so I’m hoping for some legislative reform on that front. Maybe even a pan-European solution. Compared to Belgium, the US and UK financial markets are extremely advanced and a lot more friendly to entrepreneurs. Investment accounts abroad (within the EU at least) are only a good idea if I move outside Belgium, otherwise I’d still have to pay the taxes over here. So moving away and working abroad isn’t a bad idea! I’m trying to educate my friends, but most of them don’t seem to care or are afraid of the stock market. Even though they save quite a bit, they just put everything in a savings account. Or they buy a house, which isn’t a bad thing per se, but considering the prices over here they have to dedicate a large portion of their monthly income to paying off their mortgage, which is just silly. Thank you for visiting and for the great advice, I’ll definitely take it into consideration! Thanks for sharing your investment strategies with us. Will you post your portfolio holdings on a separate page so we can see what you buy and sell over time. I know you are focused on ETFs but you may buy individual dividend stocks down the road. Personally, this is my preferred method of investing. I was planning on doing that in the near future when I start buying individual dividend stocks since I like looking at other people’s portfolio’s too. Investing in dividend stocks is an excellent strategy, but I’m still not sure because of the tax loss in Belgium (almost 40% for foreign stocks). I recently met with a financial and tax advisor and have decided to just give it a try and see where I end up. Otherwise I’ll stick to the ETF portfolio. Really happy to have found your blog. I do like what you write and will follow you going forward. I started thinking really serious about “my finacial future” early this year and made a long term finacial plan that should create a nest egg when I reach pension age. I decided to go for monthly investing in a broad and diversified portfolio. hey NMW… I see that I mixed up some things: for dividends you have the shares, for broad market you have ETFs with ACC. The other part is ETF investing. Her I am for now in one ETF but it is less good at first sight that your ACWI (TER of mine is 0,45). I will do a comparison of returns and see what is best. Glad you decided to leave a comment! It’s fun to find out others found my writing useful. ACC ETFs definitely are the way to go if you’re going for long-term wealth growth since we don’t have capital gains taxes in Belgium (not yet, at least). Definitely check out the iShares ETFs, they are great! I use the individual stocks as a way to generate passive income. At first, though, I started with ETFs to get a feeling of how the stock market works and to have a broadly diversified portfolio to start with. How or where can you purchase the Irish ISIN variety of the iShare ETF which is not taxed in Belgium? I missed your comment, sorry! The Irish iShares ETFs are almost all available on the Amsterdam Stock Exchange. Just search for the ISIN code on your broker’s platform and you’re bound to find them. Thanks for this post. I am also a 25 year old Belgian on the road to financial independence. I would like to start investing after reading jlcollinsnh’s stock series and believe index investing is the way to go as it made a lot of sense. I was wondering though which broker do you use and why? And what about Vanguard funds (as jlcollinsnh recommends them), is it possible to buy them as a Belgian? Or do they all pay out dividends? Awesome to meet someone else my age and from Belgium! I’m glad to hear that I’m not alone in my endeavour. For my ETFs I use BinckBank (www.binckbank.be) as they’re relatively cheap and offer good services. Let me know if you’d like to sign up so I can refer you. We’ll both receive about €100 of free transactions that way. My dividend portfolio is located at Bolero (KBC) (www.bolero.be) because they handle foreign dividends and withholding taxes a little better. Their platform is also more modern. You can buy vanguard funds that are domiciled in Ireland and traded on the London Stock Exchange. You should check the Vanguard website. The All-World ETF is probably what you’re looking for. Remember, however, that all Vanguard funds distribute dividends, which are taxed at 25% in Belgium. The iShares ETFs that I use accumulate dividends, which is a little better from a tax perspective. Thanks man, I think I’m just going to keep it simple and buy the iShares Core MSCI World UCITS ETF. If I do sign up for BinckBank, I’ll definitely let you know. You probably saved me a few weeks of research. Only thing I’m still wondering: why BinckBanck and not some of the cheaper alternatives like Lynx, Medirect, De Giro (maybe that one is a bit too good to be true at 0€ costs :p)? Is BinckBank safer? So far so good with DeGiro. It works pretty well, and the good thing with the free ETFs and Mutual Funds is that you can already start investing with super small amounts. Purely illustrative just as an example: you could buy 1 ‘share’ of HSBC MSCI WORLD (IE00B4X9L533) for just ~16 Euro! Make sure you get a ‘Custodian’ account instead of ‘Basic’ so that DeGiro can’t lend out your securities so that others can go ‘short’ with them. Still free, but no more real-time prices at Euronext (instead 15 mins delay), which for dividend growth or longer-term buy and hold doesn’t matter. They offer some slight variants of mutual funds which otherwise aren’t available in Belgium with lower management fees because ‘retrocessie’ is not allowed in The Netherlands. But how it works with dividend incomes and tax reports I don’t know yet. Some people make a fuss of the fact that DeGiro is not considered a ‘bank’, and as such is not covered by the EU-mandated ‘deposito guarantee’ (or however that translates from ‘deposito garantie’ to English). But this EU-rule only covers client’s savings and term/deposito accounts up to 100.000,- Euro held by the faulting bank, not securities. But securities will always remain your possession and your money/capital is held by the guys like iShares etc anyway (not your bank), and would only need to be transferred to a new custodian or broker if your bank or broker faults. At least this is my interpretation.. Thanks for the information. It seems like De Giro is a good and cheap pick for people looking to build and ETF portfolio. While the deposit guarantee system in Europe doesn’t apply to accounts holding securities (which would be ludicrous anyway), De Giro does carry an additional risk if I’m not mistaken. It is set up in a different way than traditional brokers or banks. I’d have to look into the documents again, but what I gathered from it is that there’s a (very, very, very) small risk that your securities are at risk when De Giro goes under because they’re not in a seperate entity at all times. Glad to hear you’re a happy customer though! Overall BinckBank provides relatively low costs, an easy-to-use platform and good online support. I haven’t tried the other platforms, but one of my friends wasn’t too happy with Lynx. I never looked into MeDirect and when I first started De Giro wasn’t around in Belgium, so they weren’t an option. If you decide to go with the De Giro route be sure to pick a custody account as De Giro is otherwise allowed to swap your securities (only downside is 15 minute delayed trading times). I wouldn’t say BinckBank is safer, but I’m not really comfortable with the way De Giro is set up and the way they try to make money. I’d rather pay a fee outright and have the security of a traditional brokerage set-up (with a different entity managing the shares you own). Let me first say that you have a nice volume of information available here, should be pretty good start for anyone deciding to begin investing in Belgium! I was looking for a broker to park some money currently rotting in bank account, so I thought I am going to sign up with BinckBank – would you want to refer me? I’d be happy to refer you. Just send me an e-mail through the contact form with your e-mail address, and first and last name. Thank you for pointing me towards this new ETF. It seems like this is a better option than what I’m currently holding. I’ll definitely look into it some more. NMW, nice post on the investment situation for Belgians (and nice website too, I enjoy it). A quick remark, you mention that Irish dividend paying funds are better for Dutch investors. I am not sure why you say so, to my knowledge there is no tax-advantage nor disadvantage to have the fund distribute dividends or accumulate. Besides that I think US funds are better for a Dutch investor as well. If you are interested, check out for instance the Bogleheads wiki on Investing from the Netherlands. Just a small remark though, other than this I think your post is great. Thank you for dropping by and taking the time to leave a comment, much appreciated. I’m glad you found the information in this post useful. What I meant by the dividend paying funds for Dutch investors is exactly what you’re pointing out too. For Belgians receiving dividends is worse from a tax perspective, whereas it doesn’t matter for Dutch investors due to the different taxation laws between our countries. Thanks for the quick reply, good to hear I understood your piece correctly. It once again shows how you are not able to generalise about the “European” or international investor, the advice will differ widely depending on the country you are from. I think you did a good job finding out about the situation in yours’. But what will happen when you (will start) work in Belgium but (will start) live in The Netherlands..?? As far as I understand one is obligated to do a tax return in Belgium because you work there, and also do another tax return in The Netherlands because you live there. And then after probably way too long a time both tax agencies will work out where you might have been taxed twice, and will return parts of the double tax. How this works for investments is beyond me, and hope to find an accountant knowledgeable on the crossborder situation..! You should not be taxed twice on income nor investments because of the tax treaty. So if you live in NL and work in BE, you would indeed declare your Belgian income in NL as well but you would not have to pay income taxes on them if you already pay them in Belgium. I think it is advisable to go to a tax adviser (enough choice) for specific advice. You might want to ask some of your questions to team GWO first, they may be able to give you tips on finding a good adviser as well. Best of luck! Don’t worry too much about being taxed twice on labour income when you either live/work in Belgium and work/live in the Netherlands. Both countries have excellent bilateral agreements in place, mainly for all people living close to the border that work abroad. Mick’s explanation is spot on! Small addition: for your investments you pay taxes in your country of residence, not the country you work in. You’re best bet is to contact a tax adviser or accountant to figure out how to best declare your taxes. Thanks guys of the feedback and advice. Through some acquaintances I did find out that – although there are bilateral agreements in place – because the Belgium ‘fiscus’ literally takes ages to come to an assessment of your tax return, it may take even much longer for the two countries to make an assessment of whether you owe or get money back..
One guy said three years later he heard back from a tax return, obviously totally forgotten what he declared etc and was suddenly stung with 5,000 euro to be paid (probably some confusion over mortgage interests..). So he had to deep-dive back into all his admin to figure out what or where things went wrong, and obviously already thought he could use that capital elsewhere..! Living currently in a country where the ‘end of financial year’ is on June 30th, tax returns can be submitted on mobile or web from July 1st onwards, and normally within 10 working days you can expect (in case you paid too much) money to be deposited onto your personal bank account; the super long lead times annoy me tremendously..! Basically I left Belgium for Australia in the middle of 2013, will have done two successful tax returns – plus receiving money back into my bank account – in Australia, before even getting any decision about my Belgian tax return: this illustrates how f***ing slow things are there! And as I only worked 6,5 months during 2013 in Belgium paying income tax in the 12-month bracket, I’m entitled to a lot of money back as I paid too much, but as I still haven’t got it back it seems like even more capital left uninvested..! Looking as I will be living in The Netherlands and working in Belgium – taking the remarks above into account – does it make any sense to do “Pensionsparen” in Belgium to the maximum fiscal benefit..? Or wouldn’t that make any sense, as like NMW said before, investments are taxed in the country of residence..?? Is there something similar in The Netherlands where you can benefit from, either investments made on your pre-tax salary, or have other tax benefits given to pension funds or long-term investments..? The taxman is indeed not very likely to be your friend here. If you earn your money in Belgium and live in the Netherlands, you would build up a Belgian pension (you do not pay for AOW through a Dutch employer for instance, so you would not be entitled to it either). In my opinion, there are no good tax-exempt options in the Netherlands (see the previously mentioned bogleheads wiki page) but also would not know if you can participate in Belgian ones. This is the part where I would redirect you to an adviser Might be that you can offset some investments against the Belgian tax payable, but I am not familiar with both the Belgian rules and those for ‘grensarbeiders’ so I will not shoot your hopes down or build them up either. Maybe NMW has more specific insights. I believe Mick’s resonse is correct from a Dutch perspective. As for the tax advantaged pension funds, you can apply for them if you pay taxes in Belgium and if you’re a resident of a European Economic Area country. As you qualify for both these conditions there’s nothing stopping you from opening an account, adding the €940 limit this year, and claiming approximately 30% back next year in your tax filing. You should decide for yourself if it’s a good idea to do so. Don’t pick a tax-advantaged pension fund simply for the tax advantage would be my best advice! Thanks, glad you enjoyed the blog thusfar. I haven’t added any bond ETFs to my portfolio, but you could take a look at these two: iShares Core Euro Corporate Bond UCITS ETF (IEAC) and iShares Euro Inflation Linked Government Bond UCITS ETF (IBCI). The first one holds bonds of corporations in Euro countries while the other one focusses on the countries themselves (and is inflation adjusted). Only the Corporate bond ETF accumulates rather than distributes its dividend. You could also take a look at the Think ETFs. They had a pretty decent bond selection a while ago. Thanks for the kind answer! Can I ask how long you plan to keep your portfolio without bonds? Is that forever and will you keep only stocks or will you ad bonds when you get older? For me it’s a difficult question to ask. Or will you hold some extra cash when you are older? Thanks for the links already! Ah, I was too quick with my previous reply. This is indeed the page I was referring too with my previous comment. My investments consist of 100% stocks (either individual shares or ETFs). I also have quite a lot of cash on the side for emergencies and possibly to purchase a home in the future. At the moment I haven’t given much thought to my bond allocation because I have over fifty years ahead of me. When my dividend income finally reaches my expenses I’ll probably start using bonds a bit more. Actually, I’d rather use insurance products (like TAK21) to make up the bulk of my fixed-income and wealth preservation portfolio. They’re easier to get a hold of and to track. If you’d like to learn more about fixed income solutions vs stocks you should hit up the Bogleheads forum. The people there will tell you to hold your age in bonds (so if you’re 40 years old, 40% of your net worth should be in bonds) – I think that’s a good target. I am a big fan of your blog. As a recently arrived expat in Belgium, it is not so easy to find some key information that is so readily available in your incredibly valuable posts. FYI, and if I interpret the info on iShares correctly, I believe it is the Government Bond ETF that you mentioned that reinvests the dividends, the Corporate one distributes them. You mention that bonds are no-go for you because of taxes, but I am wondering whether Bond ETFs that reinvest dividends are fine from a tax point of view, just like for Stock ETFs? Or are bonds indeed treated in a rather special manner by Belgian tax law? I have noticed you use BinckBank.be for your transactions, but Fortuneo seems to have lower transaction fees. Is there a reason why you would not use Fortuneo and stick with BickBank? In your experience, are all these taxes (for all stock) retained by BinckBank for instance? Or is this all dealt with in your yearly tax declaration? Thanks a lot for your fantastic blog, and best of luck with your admirable goals! Thanks for your kind words, much appreciated. I’m glad you find the information on my blog useful. Some ETFs distribute and some accumulate dividends. From a tax perspective you want the accumulating ones because the distributions are taxed at 25% (27% from next year onwards). Bond investments (like funds, ETFs, etc.) are taxed more heavily because they’re fixed-income investments. The exact taxation law escapes me (because I don’t hold any bonds), but if you keep the amount of bonds within a single fund lower than 25% you’re fine. I look for low transaction costs, but also for quality of service in selecting a broker. That’s why I decided on BinckBank (and Bolero for my individual stocks). Also, I still have remaining free transaction costs which I use at Binck. Of course, your choice may vary depending on what you think is important. Taxes are always maintained at the source, so your broker – if he’s legally operating in Belgium – should automatically deduct all taxes. If you use a Dutch broker, for example, you’ll have to add your investments to your yearly tax declaration. I strongly advise against this as it’s needlesly complex! Hi and thanks for the excellent set of blogposts! I’ve just reviewed quite a few and have come away with lots more knowledge. I’m a Brit based in Brussels and started investing two years ago. I put aside roughly 50% of my salary making regular investments every month. My strategy’s aim is capital gains over the long term (15+ years) through diversification – in terms of bonds/equities, geography and even (when the time seems right) currency. Basically, it is 25% bonds of various kinds (corporate, high yield, sovereign US/EU), 25% developed markets (tilted to broad-market Europe), 25% global technologies (tilted to solar, cleantech, sustainability/ethical and telecoms), and 25% developing markets (titled at present towards China and Asia and in the future also to frontier markets). I do this through a bunch of mutual funds, a B-REIT and some ETFs. I have a spreadsheet to keep track of things, otherwise I could easy get lost. I try to keep the fees low and check several websites to assess the quality of the funds. I have a good selection to choose from through Keytrade and DBank and am attracted by the ease of doing regular investments, without a big up-front cost. I’d like to use ETFs as a more efficient way to track broad markets, but found the tax situation and up-front buy/sell costs off-putting. I guess that having only intermediate French means my searches for suitable information haven’t led me in the right places, but at least I now know that the capital gains of my ETFs held in Paris and the US won’t be subject to double taxation! Of course, that does leave local taxes on capital gains, though to be honest I don’t really know how high they will be. I wonder if you have any thoughts on why investing in an Irish ISIN ETF on the Amsterdam stock exchange is better than investing (say) on the London Stock Exchange, or one registered in the Netherlands and listed there? In fact I have a fairly nice ETF holding (LU1237272825), but am not sure how it will be taxed when I eventually sell it. It is listed on the French stock exchange, and had I known about their tax rates I would have thought again about this. Anyway, are there any domiciliations and any stock markets you would do your best to avoid from a tax perspective for ETFs? I don’t mind paying taxes, but you can really get stung in this country if you don’t pay attention. Anyway, sorry for the long message and good luck persuing your strategy! If I understand your question correctly, you’re basically looking for the best way to invest in ETFs from a tax point of view? As far as I know the listing of a stock doesn’t matter at all with regards to taxes. It’s not the stock market that matters, but the country (domicile) an ETF is listed. For example: I own a bunch of ETFs from iShares that are listed on the Amsterdam Stock Exchange, but are subject to Irish law (because of their “IE” ISIN code). The reason why you should choose for an Irish fund over a Luxemburg or even German one is because the Irish funds treat dividends received within the fund better than other countries. Basically, between identical funds in Ireland and Luxemburg, the Irish one will always perform better because its dividend taxes within the fund are lower. With regards to your capital gains, they’re only taxed in the country you are domiciled in as far as I know. 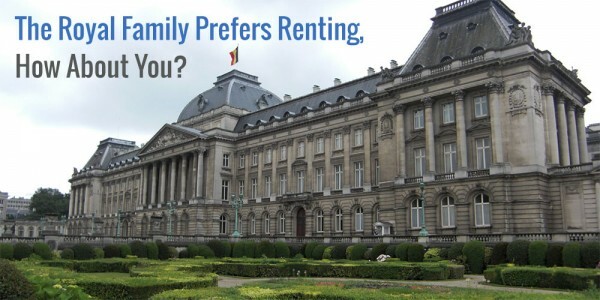 Since Belgium doesn’t apply capital gains tax, you shouldn’t have to worry at all. Basically, if you’re domiciled in Belgium (which you seem to be) and purchase your ETFs through a Belgian broker (like you do), you should purchase Irish ETFs on Euronext Amsterdam like I do. It’s best from a tax perspective, both in the funds as well as on your end. I hope my explanation was clear enough! Thanks for the reply – really appreciated. I’ll keep popping back to check your progress and posts! b) there’s a real tax advantage of accumulating ETFs/funds, and the dividends are not taxed on a yearly basis regardless whether they are distributed or not? because here down in Austria it’s like this, and I would be surprised if tax laws would be that different in Belgium. Bullet b) would be a contradiction to your dividend strategy, because if it would lucrative tax-wise to hold accumulating ETFs where dividends presumedly are only taxed at withdrawal (and get compound interest in the meantime) compared to having dividends taxed at distribution. I really envy the people in the US, things seem to be simpler there, and there’s better offers (and 99% of the how-to-retire-in-your-teen-years blogs explain things perfectly for US citizens), so kudos to you for publishing from a European perspective – many thanks. B) When a fund accumulates rather than distributes its dividends they are not taxed. Only when the bond weight of the portfolio is over 25% you’ll have to pay taxes on the capital gains/dividends. You’re right that it doesn’t make any sense that tax laws are so different between European member states, but you’d be surprised! Also, you are 100% correct that it’s beneficial for me to invest in ETFs over dividend stocks from a tax perspective. However, I’m not going to let tax law dictate my strategy. I enjoy dividend investing better because it provides me a regular stimulus through dividend income. The situation seems to be a lot more simple in the US, but they have drawbacks too. Most of the tax-advantaged accounts are subject to specific rules, while we can do whatever we like. Furthermore, we have excellent social security and health care systems. Thanks too for your reply – I’ve also read up on this stuff, taxation is bit of a mess (and an unpredictable one too), so you’re absolutely right – investment strategy first, then only come tax considerations. And I agree, not in a lifetime would I trade the European wellfare system against the US “survival of the most prosperous” version. There’s another advantage of direct stock investing over ETFs – the indices tracked by ETFs are already net of withholding taxes on dividends (20% or so, and no country, even with double taxation, will reimburse you the tax losses on this level). This is a big cost compared to the already very low expense ratios of major ETFs – with a dividend yield of 2,5% on a world-wide ETF you’ll lose overall 0,5% even before the money leaves the ETF in your direction (to be taxed yet another time). I’m also long enough in investing to have been burnt by Bernie Madoff and having learnt that every layer of indirection (e.g. mutual fund, ETF) on top of the costs adds a risk of it’s own, another bonus for stock investors who just really own what they own. So your portfolio strategy should work out quite well in the long term (higher risk due to less diversification compared to an all-world ETF portfolio, but 0,7% p.a.+ advantage over ETFs owing to cost and net index losses, plus reduced “layering risk”) – I keep my fingers crossed for you. I am also living in Belgium and about to make my first steps in the investment world, more exactly ETFs. Before I start to actual invest I still need to document myself on best practices and I have to say that your blog has been a good reading and a good source of inspiration. I already envy you since you started at a younger age than me, and I hope everything went well for you till now! I came across ishares before reading your blog and it seems a good option for me as well and I was on my way to finding a good broker – there’s a big change I’ll go for bink, they seem to have a fair system in place. Thank you for that! Rookie question but how did you manage to invest in iShares Core MSCI World UCITS ETF (Acc) ? It is available for Netherland but not for Belgium? What am I missing? Thanks! Glad to hear you found the information on my blog useful. If you have any other questions be sure to ask them. The readers and myself are always happy to answer! Hope this was clear and helpful. I want to invest in the S&P 500 EUR with ishare. Any experience with : IUES / Euronext Amsterdam / ishares S&P 500 EUR Hedged UCITS ETF ? What does the Hedged and UCITS stand for? This is not entirely true. If an Irish fund invests in a foreign company, then the fund has to pay foreign withholding tax on the dividend. Why do you prefer Irish funds over Luxembourgian funds? To me, they seem to be equivalent from a tax perspective. OK, I’m stumped on the DeGiro deal. I have an account with them: I got the French-Belgian offer (as it’s my second language after English) – which isn’t as a good as the Belgian-Dutch offer because it doesn’t offer free funds and you pay 0.2% every month on the funds you buy into…. I’m sure that isn’t really legal in terms of linguistic discrimination, but heck, whatever. 3) Capital gains – equity capital gains don’t get taxed in BE (at least that is my understanding – I’m not concerned by the speculation tax as I buy and hold -)… but would I pay capital gains on the NL side? And would I need to declare sales with capital gains on my BE tax declaration, even though it is not taxed here for domestically held securities? And how would the BE tax authorities treat it? Basically De Giro seems like it has good potentials, but the practicalities and implications start to put me off. The possibilities of improving portfolio performance (e.g. on an attractive ETF that costs a lot to buy into in Belgium, or the reduced management fee on an NL fund compard to the BE offerings) are potentially outweighed by the tax bill at the end. Anyway, any thoughts on this definitely appreciated!! Thanks for this blog, not sure where else I’d address this. I’m strugling with the same isue over here. I was wondering if you have found an answer to your questions somewhere? “When you open an account with degiro.fr, your account is still held in Amsterdam (Netherlands). We do not have offices in France. The taxation is the same if you have an account with degiro.nl or degiro.fr. Obviously this does not mention the difference in the cost of buying into certain funds (which is free for Dutch-language users). As for the 0.2% on the funds for French-language users: I’ve paid this fee only once at purchase; I’m not sure if it will be levied again. 0.2% every month would basically make all fund investments pointless and likely loss-inducing. I’m still convinced the different tariffs for different language versions must be illegal, but perhaps that’s my British attitude to these things. One solution would be to open a French and a Dutch account – which would allow shopping around for the best fees. I would like to ask you about the currency risk involved in buying ETFs that are traded in USD. How has your portfolio been affected all these years by the change of EUR/USD? I suppose all three of your ETFs are in $, right? If you have an ETF in dollars and EUR/USD ratio is moving up (€ is strengthening against $) then your ETF’s value is lowered. Isn’t this the case? I would very much like to invest in Global ETFs such as VT and AWCI, but this matter concerns me a lot. I would very much appreciate your thought on this one. If you have an ETF in USD and EUR/USD is moving up, that means the dollar is getting weaker against the Euro then your ETF will go down (when your performance is expressed in euro). For example the ishares core 500 S&P ETF: CSPX.AS in EUR traded in Amsterdam versus CSPX.L trading in London in USD…. When the EUR/USD ratio is moving this will effect the performance (expressed in EUR) of both ETF’s exactly in the same way. Why? because the underlaying stocks (the S&P 500) are all american stocks in usd. I’ve tried to make my (very different) portfolio allocation have exposure to USD for this very reason. Sure, the currency exchange rates will go up and down, often much more rapidly than the performance of the fund/ETF, but it seems to mitigate in the longer term against political risk. Imagine the euro ends up losing half its value at some point in time due to a sudden shock… I’d like to have about 10% of my holdings in another currency, definitely USD, but perhaps also complemented by smaller amounts in GBP, JPY or CHF. Hi, First of all, great blog, it’s been super useful for me so far! Just a question regarding how you got to your values of exposure in your ETFs..
With 70% invested in all world, and 20% Europe, you arrive at 40% US stocks, and 45% European stocks. Ishares All world consists of ~60% US Stocks, and ~20% European stocks. This with your 70/20% mix would give: 42% US Stocks compared to 34% European Stocks I think or? Thanks again for the great blog and advice! The country mix in ETFs change all the time, so it’s possible that my numbers above aren’t accurate anymore. As such, you should rebalance regularly to ensure proper exposure. Great blog nomorewaffles! I wish I had had your wisdom at 27! I am a British national living in Hong Kong. I want to retire in France. Are you or anyone else familiar with French legislation? Would the ETFs you chose for Belgium also suit France? Also, you said you aimed for expense fees of around 0.3% so can you explain the rationale behind your selection of iShares MSCI Emerging Markets UCITS ETF (Acc) at 0.68%? I really can’t help you with French legislation. Since you’re a British national you’re also a EU citizen (until Brexit of course), so you should be able to live in France no problem for a certain amount of time each year without any issues. I think it’s best to find someone in a professional capacity to help you out. The EM ETF was indeed more expensive since iShares didn’t offer a cheaper one at the time. First: Many thanks for your blog, in particular this page which I found very helpful since it is not always easy to find Belgium-specific investing info! And another bonus question: In researching good/tax-efficient accumulating ETFs, I have found some interesting ones at Lyxor, based in Paris. From my research it appears that there, the dividends (perceived by the fund itself) are not taxed, and neither are capital gains (for foreign residents). Is that your take as well ? If so, that would make them just as tax-efficient as the Irish ones you recommend, or am I missing something ? Thanks again for your blog, and your time! I’m also from belgium and would like to start with investing. Do you still recommend investing in ETF’s with BinckBank (2017)? And shares with Bolero KBC? For what i need to look out for to minimize the costs of fees? 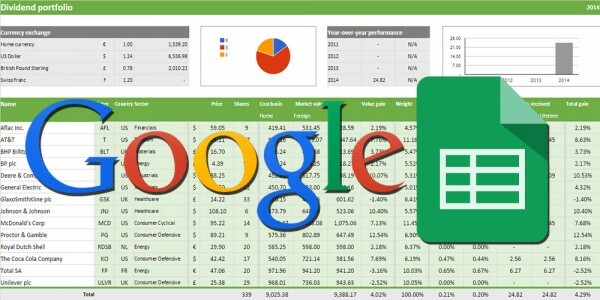 How did u get started with getting info on what stocks are good to invest in? Any tips for real investing beginner? What stocks of funds are good to invest in in 2017. Hi nomorewaffles, your blog is a great source of info for beginners! I have one question: when you were searching for your ETFs, what website did you use to apply the above-mentioned criteria? I am having trouble finding information on whether a given ETF reinvests dividends. I see that there is usually information on distribution frequency, but I don’t see any clear YES/NO answer. Awesome post. Just wondering: you opt for Ishares ETFs. I think this makes a lot of sense considering the tax issues. However, Vanguard ETFs have a much lower TER, especially for ETFs tracking Europe and the developing world. Do you think the tax advantages of Ishares ETFs outweigh the lower TER of Vanguard ETFs? Is there a reason you have chosen not to include bonds in your portfolio?